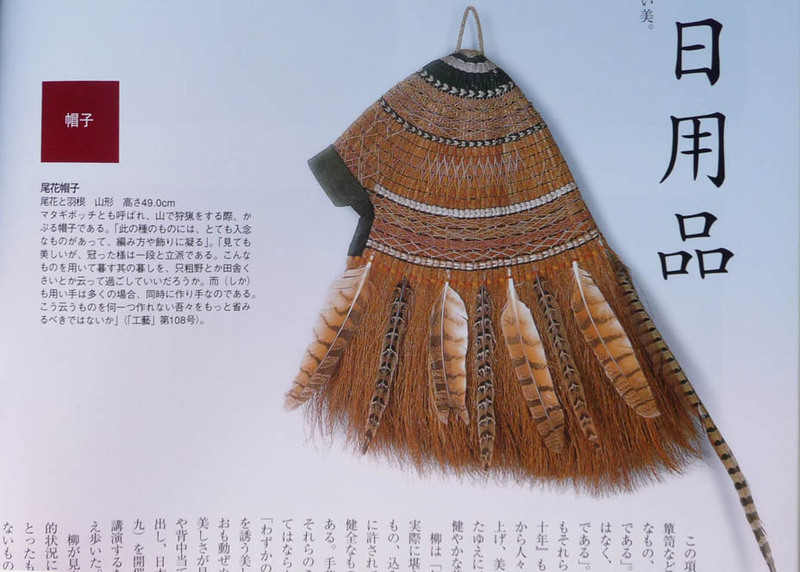 A large straw hat used by hunters and farmers. 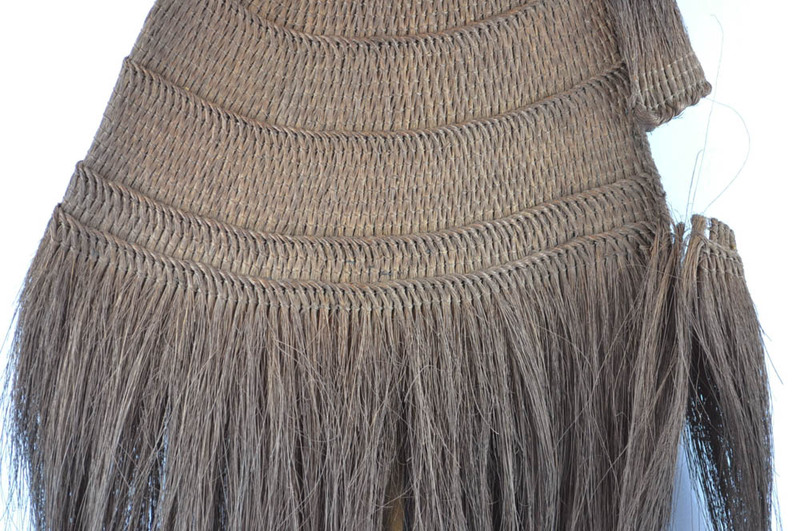 Plaited with smoked straw fibers, with a fabric chin-strap. sekai : "Mingei" no hakken to sono shisō, Tōkyō : Heibonsha, 2006, p. 66. A rare Mingei piece in fine conditions.